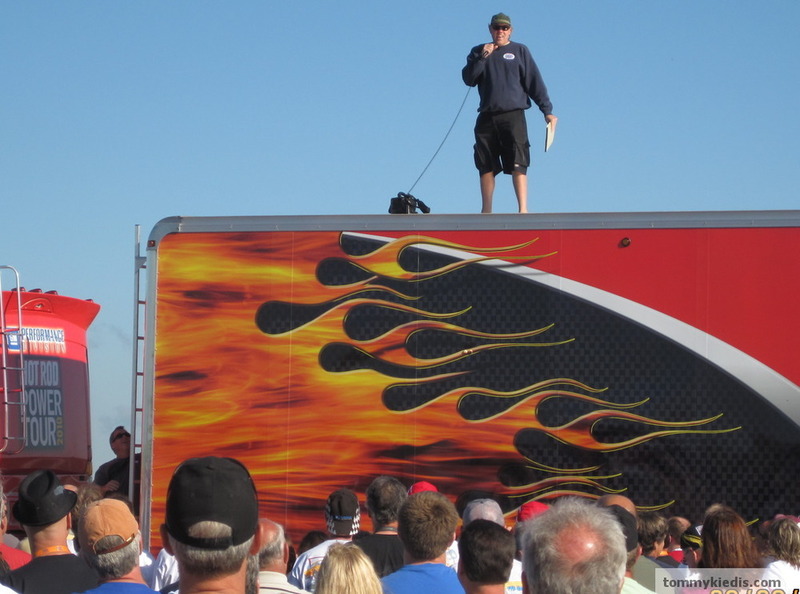 Day two on the Hot Rod Power Tour began with David Freiburger's pep talk from the top of the Hot Rod truck: "Remember, you're on vacation!" And we were. What a vacation it was. We traveled the back road of the US, made great friends and saw some beautiful cars. Freiburger Pep Talk: "Remember you are vacation"